Summary: Researchers have discovered neural progenitor cells in the meninges. Possible implications for brain regeneration. In a cross-domain study directed by professor Peter Carmeliet (VIB – KU Leuven), researchers discovered unexpected cells in the protective membranes that enclose the brain, the so called meninges. These ‘neural progenitors’ – or stem cells that differentiate into different kinds of neurons – are produced during embryonic development. These findings show that the neural progenitors found in the meninges produce new neurons after birth – highlighting the importance of meningeal tissue as well as these cells’ potential in the development of new therapies for brain damage or neurodegeneration. A paper highlighting the results was published in the leading scientific journal Cell Stem Cell. Believed in the past to serve a mainly protective function to dampen mechanical shocks, the meninges have been historically underappreciated by science as having neurological importance in its own right. The data gathered by the team challenges the current idea that neural precursors – or stem cells that give rise to neurons – can only be found inside actual brain tissue. When it comes to future leads for this discovery, the scientists also see possibilities for translation into clinical application, though future work is required. Moving into unchartered territory is high risk, and can offer high gain, but securing funding for such type of research is challenging. However, Carmeliet’s discoveries were made possible to a large extent by funding through “Opening the Future: pioneering without boundaries”, a recently created Mecenas Funding Campaign for funding of high risk brain research but with potential for breakthrough discoveries, started up by the KU Leuven in 2013 and unique in Flanders. When it comes to future leads for this discovery, the scientists also see possibilities for translation into clinical application, though future work is required. NeuroscienceNews.com image is in the public domain. Prof. Peter Carmeliet (VIB-KU Leuven): “Being able to use such non-conventional funding channels is of utmost importance to break new boundaries in research. This unique Mecenas funding initiative by the KU Leuven is innovative and boundary-breaking by itself. Our entire team is enormously grateful for the opportunities it has created for our investigations”. VIB Flanders. 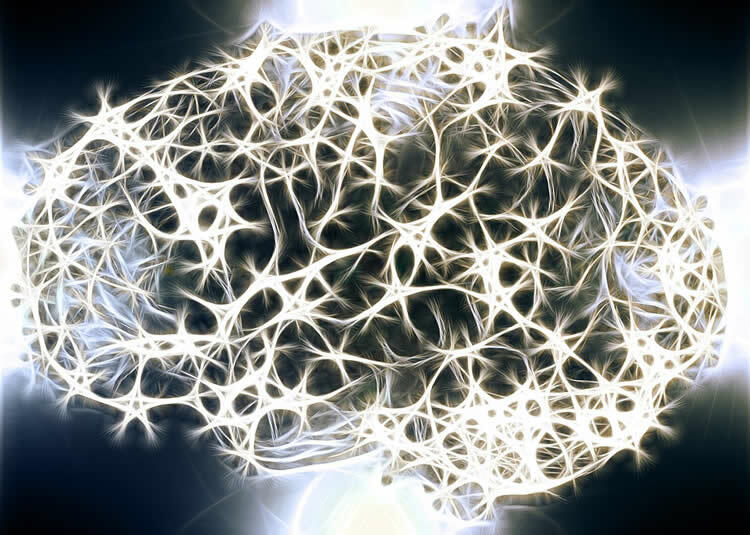 “Neuron Producing Stem Cells in Membranes Covering the Brain Discovered.” NeuroscienceNews. NeuroscienceNews, 23 November 2016. VIB Flanders. “Neuron Producing Stem Cells in Membranes Covering the Brain Discovered.” http://neurosciencenews.com/neurogenesis-neurons-membrane-5589/ (accessed November 23, 2016). Whether new neurons are added in the postnatal cerebral cortex is still debated. Here, we report that the meninges of perinatal mice contain a population of neurogenic progenitors formed during embryonic development that migrate to the caudal cortex and differentiate into Satb2+ neurons in cortical layers II–IV. The resulting neurons are electrically functional and integrated into local microcircuits. Single-cell RNA sequencing identified meningeal cells with distinct transcriptome signatures characteristic of (1) neurogenic radial glia-like cells (resembling neural stem cells in the SVZ), (2) neuronal cells, and (3) a cell type with an intermediate phenotype, possibly representing radial glia-like meningeal cells differentiating to neuronal cells. Thus, we have identified a pool of embryonically derived radial glia-like cells present in the meninges that migrate and differentiate into functional neurons in the neonatal cerebral cortex.